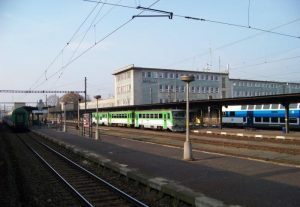 SŽDC has launched the tender on the reconstruction of Beroun station, including other buildings in the station area, a project that has a EUR 8.9 million estimated value. The project will include a complete reconstruction of the station building consisting in a complex of three buildings connected together, departure hall, administration and rail operation building. Dispositional changes will occur in the departure hall such as a relocation of cash desks and creating more commercial premises. The modernisation has as objective to revive the premises and to increase travelling comfort. Construction works are scheduled to start this July and will last 18 months. The reconstruction will include a new facade and its heating, a new roof, exchanging windows and doors, adaptations of walls’ and ceilings’ surfaces, treading layers of floors and exchanges of interior doors. New distribution systems, sewerage, water, heating, the wiring system, will be built for the whole complex. The passenger station building will be newly equipped with a cooling and air exchange system. Construction works will also concern underground floors where a new water-proofing of walls will be built as well as sanitation of cellar premises and eliminating humidity. The reconstruction will also deal will extending the information and camera system.